Detail 1 of “Broken Rules By Design.” Original text and collage on Eames rocking chair. Commissioned for White Space / Design Within Reach, 2012. 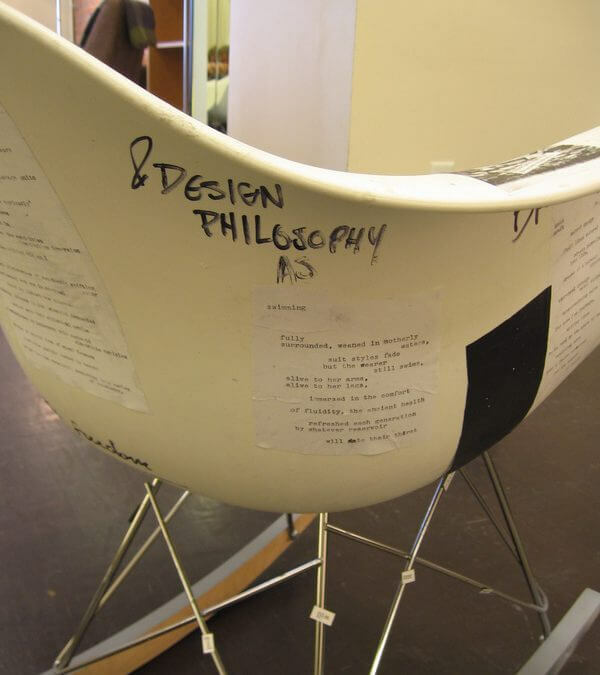 Detail 2 of “Broken Rules By Design.” Original text and collage on Eames rocking chair. Commissioned for White Space / Design Within Reach, 2012.